I grew up in the small Michigan town of Eaton Rapids, Michigan, and looking back, I never believed that I would end up in another small town in mid-Michigan. Growing up on my parent’s horse farm, I was surrounded by those that worked hard or worked hard just to find work. I never wanted to become an attorney as a young girl, nor did I want to stay on the family farm; I wanted to be on Broadway. However, my entertainment talents never caught the attention I dreamed of, while I was an undergrad, though I auditioned and performed in dance companies and on-stage routinely. It became clear as my mother and father preached, to focus on academic achievement and goals, something that seemed so far from the lights of Broadway. The courtroom is now my stage! I have been an attorney, fighting for the constitutional rights of others now since June of 1998 when I opened my practice. For myself and my clients, I seek nothing but truth and justice, and a fair resolution. My clients mean the world to me and though my goal is to solve every problem or predicament, I will work hard to do so and if I can’t, I will try my hardest to find the best resolution or solution for each individual and case. Licensed in Michigan and Federal Circuit Court for the Western District of Michigan. Rhonda Ives represents people in Battle Creek, Coldwater, and throughout many other Michigan counties. She understands the stress you are going through, and cares about each individual case. As a graduate of Gerry Spence’s Trial Lawyer’s College Rhonda has learned trial skills that give her an increased ability to handle tough cases. Having handled cases throughout Michigan, she is a skilled criminal defense attorney who works hard to protect your rights and secure the best possible outcome. Rhonda Ives is a Board member of the Criminal Defense Attorneys of Michigan (cdam) and routinely attends their yearly criminal defense training seminars, keeping updated on all the latest legal changes. Rhonda Ives has handled numerous DUI (driving under the influence) cases throughout Michigan, and Battle Creek that are commonly charged by police officers. Because the penalties for drunk driving are increasingly severe, it is important to have a knowledgeable Battle Creek DUI lawyer on your side when facing DUI charges. 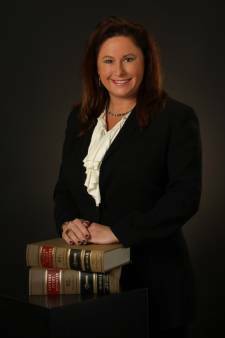 Rhonda Ives knows the laws and penalties associated with DUI’s, and will do everything possible to reduce the impact of the charge on your livelihood, family, and future. Rhonda defends people against various traffic charges, including speeding, and other civil infractions throughout Michigan. If you are an out-of-state driver with a speeding ticket, or a trucker caught in a speed trap/ random logbook inspection, contact Rhonda Ives. She has handled hundreds of citations in the counties of Calhoun, Branch, and Hillsdale. Rhonda Ives has the experience and knowledge to help minimize the penalties of a traffic stop for reckless driving or driving under a revoked license. Rhonda Ives is also experienced with license restoration. If you are a participant in Michigan’s Medical Marijuana Program or have been prosecuted for use of marijuana, even if you are not a cardholder and your rights are not being respected. Rhonda understands cannabis and the science supporting it’s medical use. Rhonda Ives has handled family law cases throughout Michigan including Battle Creek, Coldwater, and Hillsdale. While the courts may differ on the protocol and manner in which hearings are held, the law in Michigan is the same whether you are in any county including Branch, Hillsdale, or Calhoun County. The main advantage of hiring Rhonda Ives is that you know exactly who will be working on your case (in bigger firms, the lawyer you speak with initially may not be the same one working on the bulk of your case). Instead, you will have the opportunity of getting to know Rhonda which helps make office visits or phone conversations more comfortable. Having a one-on-one relationship with your lawyer is very important. Divorce can be a very personal and psychological thing. Having a close connection with a family lawyer allows a client to feel comfortable while offering him/her the chance to provide help and guidance towards the resolution of larger problems. A sole practitioner is usually less expensive than a big family law firm, but much depends on the time and dedication they offer to finalize your case. Divorce cases can be very trying and emotionally difficult. One of the most contentious issues in divorce is usually the custody of children. Courts encourage a close relationship between both parents and the child(ren). If the parties involved can agree on a custodial arrangement, the court, under most circumstances will adopt the agreement. In the state of Michigan, there are two types of custody that must be addressed: legal and physical custody. Legal custody gives the parent (sole) or both parents (joint legal custody) the right to make legal decisions for a child regarding education, health care, and religion, along with his/her general welfare. Physical custody defines where a child lives on a day-to-day basis. Typically, one parent is granted sole physical custody (a child(ren) living with a single parent). However, both parents can be granted joint physical custody and share (close to equal) time spent with the child(ren). The “victim” must be someone you have had a personal relationship with, such as your spouse or former spouse, or a person living or having lived in the same home as you, or someone you have or had a dating relationship with. You cannot have been convicted of an assaultive crime in the past. An assaultive crime is usually any sort of violent crime or crime that puts another person in fear of being hurt by you. You have to accept responsibility for what happened and plead guilty.